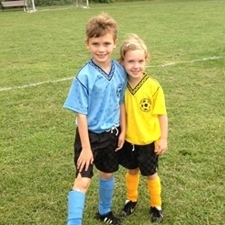 RTC Training offers offers soccer programs for all ages and abilities through private training, small groups, and camps. Our programs are designed to provide a fun, positive environment for all children while learning thefundamentals of soccer, sportsmanship and team play. For private training inquiries, please contact Rob directly. Robert attended Red Bank Catholic where he broke every individual soccer record and earned All County, All Shore, and All State honors. He continued on at Division 1 Monmouth University where he was a four year starter on the soccer team. Cavanaugh currently coaches both boys and girls' soccer club teams in Monmouth and Ocean counties and has been a soccer trainer/ head coach for the past 15 years. Click here to learn about upcoming soccer camps and clinics.